Chinese smartphone manufacturer Huawei, grabbed the top rankings by outselling rival brand Xiaomi in terms of shipments and revenue as per statistics from Sino 2017, Jan - Sep. Now Huawei Honor looking at replicating global success in India with the launch of Honor 7X. Innovation is the core proposition that Huawei has long harnessed to move up the growth trajectory, with consistent investments towards R&D with 2016 spending in excess of US$10 billion, accounting for 14.6% of Huawei’s total revenue. 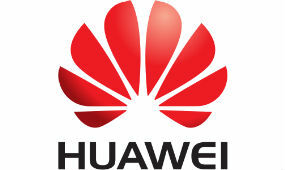 Huawei was recently ranked as 8th in terms of R&D spends globally and as the leader in the Telecom Sector. company said in the press release. In India, Huawei is successfully trying to cash its global success through range of innovative and customized smartphones ranging from Honor 8Pro to the upcoming Honor 7X under its e brand Honor. Company said during the press release that this year 99.8% more devices will be shipped in India and both Huawei and its sub-brand making a powerful base and continuously trying to increase the brand value in India.